some sound advice to Anthony Granato in the 2010 European Baseball Championship Finals. 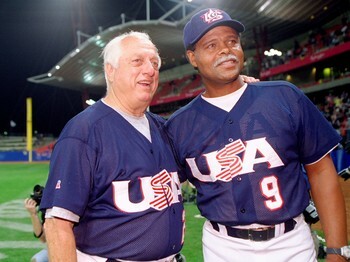 Coaches Tommy Lasorda and Reggie Smith served as Piazza’s mentors after leading Team USA to the gold by defeating Cuba in the 2000 Olympic Games. 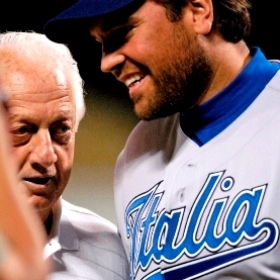 Tommy Lasorda and Mike Piazza love Italia! like many other Italians near the turn of the 20th century, came here from the Abruzzi region south of Rome seeking relief from the rough winters and hard terrain. 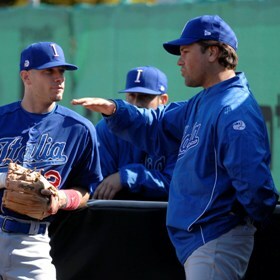 However, unlike Lasorda–who wore the red, white and blue–Mike Piazza gives back to “La Squadra Azzurri” Team Italy as a fitting tribute to his grandfather Rosario from Sicilia and faces Team USA in the 2013 World Baseball Classic at Chase Field in Phoenix on March 9th. 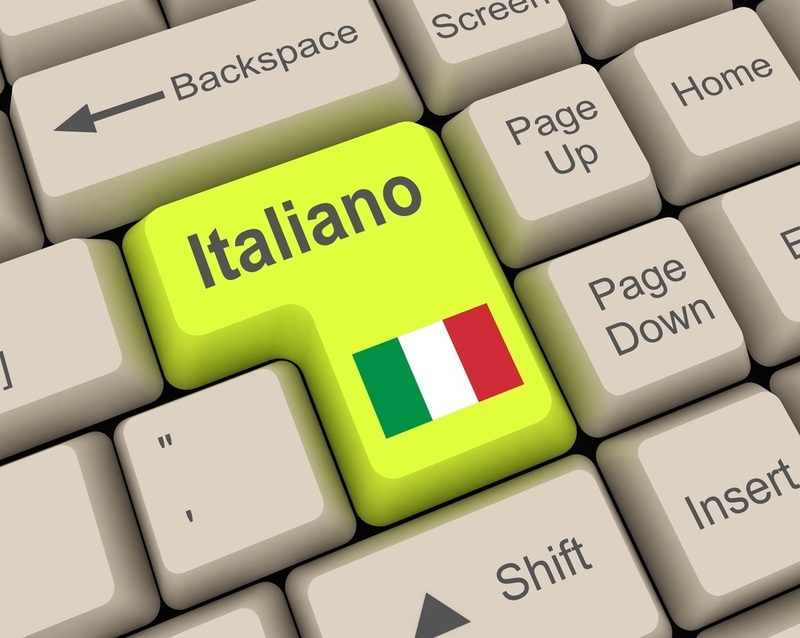 What do you–the public–think is Mike Piazza’s nationality–American or Italian? NEVER MIND HIS NATIONALITY… Mike Piazza is a SUPER CLASSY individual! That’s amazing that he’s over in Italy reconnecting w/ his roots trying to expand the game that made him here in America! I had the pleasure to meet Piazza at the inaugural WBC @ Disney’s Wide World of Sports by complete accident. He looked dog tired coming out of the tunnel, but still stopped to have a short conversation w/ me… an absolute nobody! He even told my Mom hi who I just so happened to be on the phone with. He”ll always be one of my favorites & I’m happy for him!!! Need more like him now & days!! 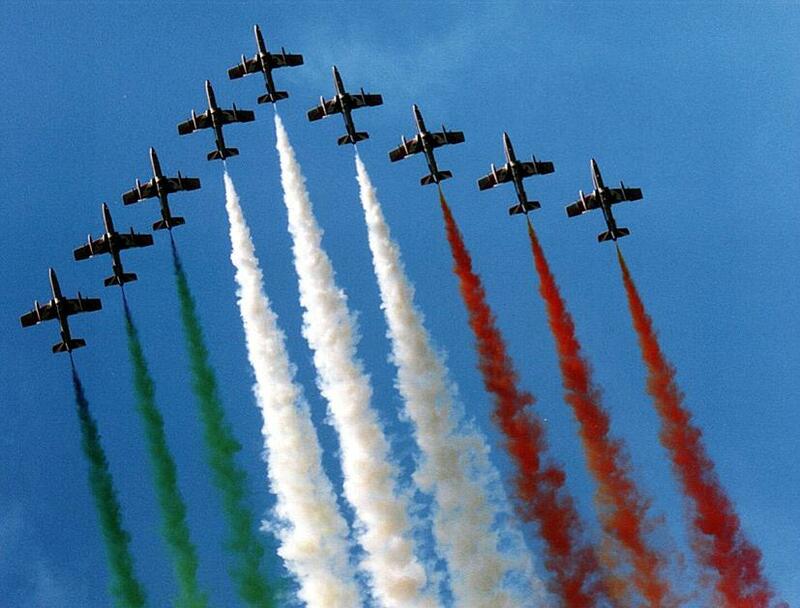 Nationality: Italian-American. Both. That’s what it means to be an American: we get to be both, American 100%, and yet with a twist.